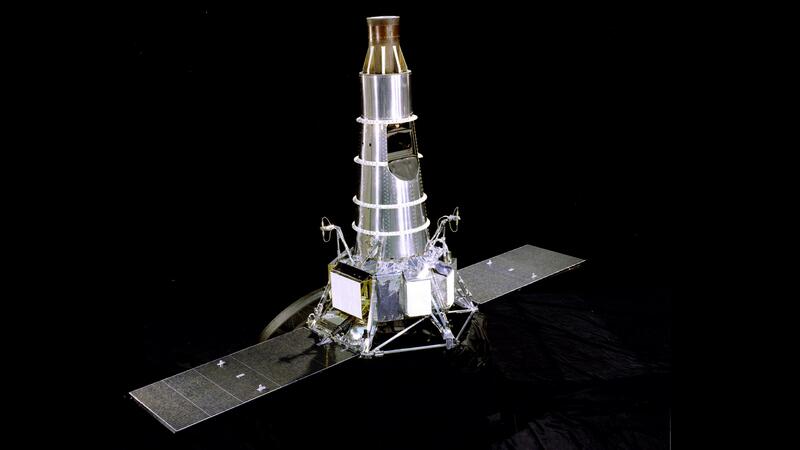 In the early 1960's NASA produced and flew a series of Ranger spacecraft to study the moon. These missions, which were the first American spacecraft to land on the moon, helped lay the groundwork for the Apollo program. 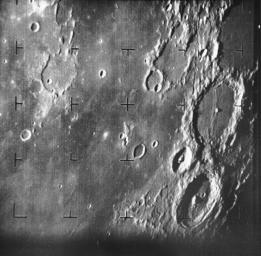 Ranger 7 took this first image of the Moon by a U.S. spacecraft, on 31 July 1964 at 13:09 UT (9:09 AM EDT) about 17 minutes before impacting the lunar surface. The Ranger series of spacecraft were designed to take high-quality pictures of the Moon and transmit them back to Earth in real time. The images were to be used for scientific study, as well as selecting landing sites for the Apollo Moon missions.